This slab is from the blog’s original purpose relating to Electric Avenue: “a) document some fundamentals … correct and complete, and then b) develop a set of tools using Google Docs and the EAv API”. I no longer have any time or interest for that. I’m now using this as an archive of my bookmark heaps. 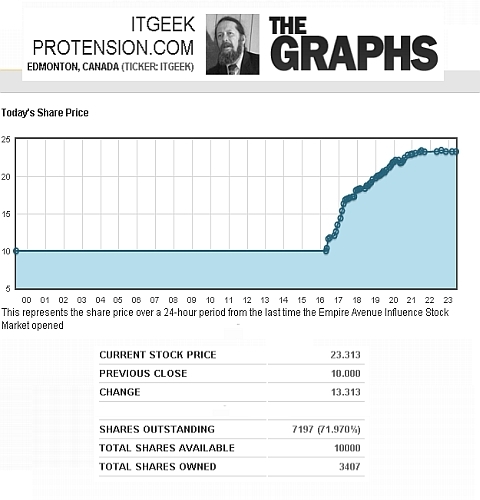 Day 1 as (e)ITGEEK on Empire Avenue and in the past 7 hrs my stock has risen from 10 to over 23!